If you were told by your endodontist or dentist that you need a root canal treatment to save your diseased teeth, you are not alone. In fact, there are more than one million Americans who require this type of procedure year after year. However, a lot of these people are unable to get the treatment due to expensive dental care in the United States. With dentists in the America charging as much as $1,200 for the whole procedure, it is no wonder why some patients opt for teeth extraction instead. Root canal treatments are very affordable here in Samaritan International. Just like you, it is our goal to save your teeth as much as possible. Our prices for this procedure start at just $265 including the cost of placing a cast post and the cost of placing the crown. If you’re thinking of having a root canal, it is very important that you understand the whole procedure as well as the benefits and disadvantages. Root canal is needed when tooth decay has already caused significant damage to the pulp, which is the soft tissue found inside the tooth under a hard layer called the dentin and the white enamel. The pulp contains connective tissues, nerves, and blood vessels needed for your tooth’s root to grow during development. Root canal will be suggested by your Tijuana dentist if after thorough oral examination, it has been found that the pulp is either infector or inflamed or both. Inflammation and infection of the pulp is a result of repeated dental procedure, deep decay, faulty crowns, and a chip in the tooth. Untreated pulp infection or inflammation often leads to severe pain and abscess. The procedure starts with your Mexican dentist confirming that your tooth/teeth needs root canal treatment by taking x-ray of the root and performing pulp test, which is basically placing a cold stimulus on the damaged tooth to get a healthy response. If root canal treatment is indeed needed, your Tijuana dentist will numb the tooth using local anesthesia. He will then remove the pulp, clean the canal, and seal the tooth to ensure that it’s protected and that’s it safe from external factors. Your dentist will proceed by putting in temporary filling that will be replaced with a crown or permanent filling depending on the location of the tooth within the mouth. If you’re suffering from severe toothache and wondering if root canal is for you, do not hesitate to contact Samaritan International. We offer free consultation and assessment before we recommend any dental procedure including root canal. Is it normal to feel pain after having a root canal? While most patients expect that they will not feel any pain or discomfort after having a root canal, it is normal for you to feel tenderness in the area for up to one week after the treatment as your body undergoes the natural healing process. Also, you may feel some tenderness in your jaw if you keep it open for extended period of time. If you experience any of this, do not panic, as these symptoms are temporary as well as expected. Patients are encouraged to take over-the-counter pain medications when these things happen. Also, after the procedure, expect that your tooth will feel slightly different from your other teeth. However, if you’re experiencing severe pain that does not go away even after you’ve taken pain reliever or you experience pain that does not go away for days, contact your endodontist. Your dentist may periodically check your tooth by getting x-rays to ensure that it is healing properly and as fast as expected. Occasionally, a tooth that has undergone root canal treatment does not heal as expected and the patient feels discomfort and extreme pain. When this happen, your Tijuana dentist may recommend re-doing the entire procedure to save the tooth. Here at Samaritan International, we guarantee our work and would re-do the entire procedure for free. The tooth that has undergone root canal treatment is expected to last as long as your other natural teeth if you practice good oral hygiene and follow post-treatment care guidelines given to you by your Mexican dentist. These include flossing, cleanings, and getting your regular dental check ups. The cost of getting regular dental check-ups is certainly much less expensive when compared to getting a root canal treatment. 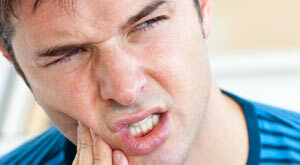 Often, patients put off going to the dentist until they experience unbearable pain. By the time they go, their options become very limited. When the tooth is too damaged for regular filling and when the pulp is already inflamed or severely infected, their only option is to either get it extracted or have a root canal. Your Tijuana dentist may recommend root canal treatment when a cavity has eaten most of your tooth and when it’s getting closer to the pulp chamber. 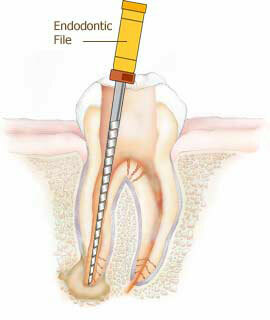 However, if the pulp is inflamed or infected, root canal treatment cannot be started right away. Your dentist will need to focus first on clearing up the infection by opening the tooth and by putting you on a course of antibiotics for at least a week. You will then be asked to return for the root canal. Root canal treatment is basically the process of taking out all the pulp including the blood supply and the nerve. The tooth is then hollowed and filled in. Your dentist will then insert a post and the rest of the tooth will be filled in with resin composite material. The tooth is then cap with a crown. Getting root canal treatment can easily set you back by at least $1,200 if you get this done in the United States. If you’re looking for ways to save, come to Samaritan International where you can get this for just ¼ of that price.